you’re happy to show off. Snap-on Smile immediate esthetic make-over! Dr. Michael Yeh, Dr. Trisha Le and associates Lynnwood WA, practice a full scope of general and cosmetic dentistry with expertise ranging from porcelain veneers to dental implants, crowns and bridges. Dr. Michael Yeh and associates can now correct a wide variety of so-called permanent cosmetic dental problems, and can literally redesign your smile. Toothache Emergency? Call us at 425-775-0651! No insurance? Ask us about our specials for uninsured patients! We offer an in-office care plan, which is like insurance, but better!! Call for details! Cosmetic Specialty can give you a smile you’re happy to show off. Modern cosmetic dentistry techniques make it easier than ever for you to have a bright, even smile. My family is coming to this place from long time now. 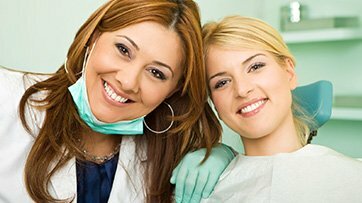 The staff is very personable and exemplary in educating you about your teeth and any work that needs to be done. They do their best to ensure you’re comfortable at all times which is always appreciated. Wouldn’t recommend any other place than this. I’ve looked for a good dentist for some time and my experience at Lynnwood Dental has been outstanding! The staff is so friendly and the doctors are absolutely fantastic. Everyone is professional, kind, and an absolute pleasure to be around. I’ve had two fillings and a root canal and every procedure was fast and flawless. The doctor referred me to get my root canal. Lynnwood is my family dentist place so I just call and they book an appointment as soon as they can. The best part is that the doctors explain the process and everything in the words, which I could understand. They always make sure that I am comfortable the whole time. I love this place and I trust them for my teeth and for my kids.